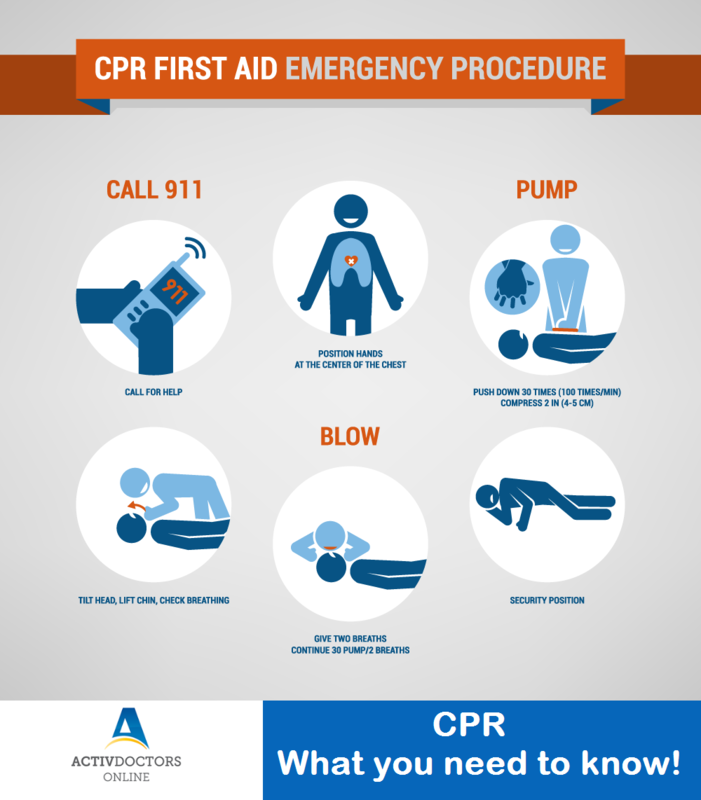 CPR – What you need to know! CPR – What you need to know? CPR or Cardio Pulmonary Resuscitation is a lifesaving technique useful in emergency situations where a person’s heartbeat or breathing has stopped. One need not be a Doctor or a Nurse to perform CPR, anyone and everyone with the basic understanding of CPR can help save a life. According to statistics, if a person is not helped within 8 minutes of his/her collapse, the chances of death double. It is therefore essential to provide CPR as early as possible and even more to understand a few simple steps in performing it. -Check for Dangers in the surrounding for yourself and the person affected. -Check consciousness of the victim. -Check for breathing and pulse. -Perform Chest Compressions and Blow into the Mouth. -Continue until Medical Support arrives. CPR is often termed the ‘Kiss of Life’ and it is therefore important to understand how to go about each step and save a life.